Hello, hot mama! Serena Williams posed for a very revealing photo shoot, stripping down and showing off her baby bump for the latest cover of Vanity Fair. The 35-year-old tennis champion, who is expecting her first child with fiancé and Reddit cofounder Alexis Ohanian, wears only a flesh colored thong and belly chain on the August 2017 issue of the magazine. 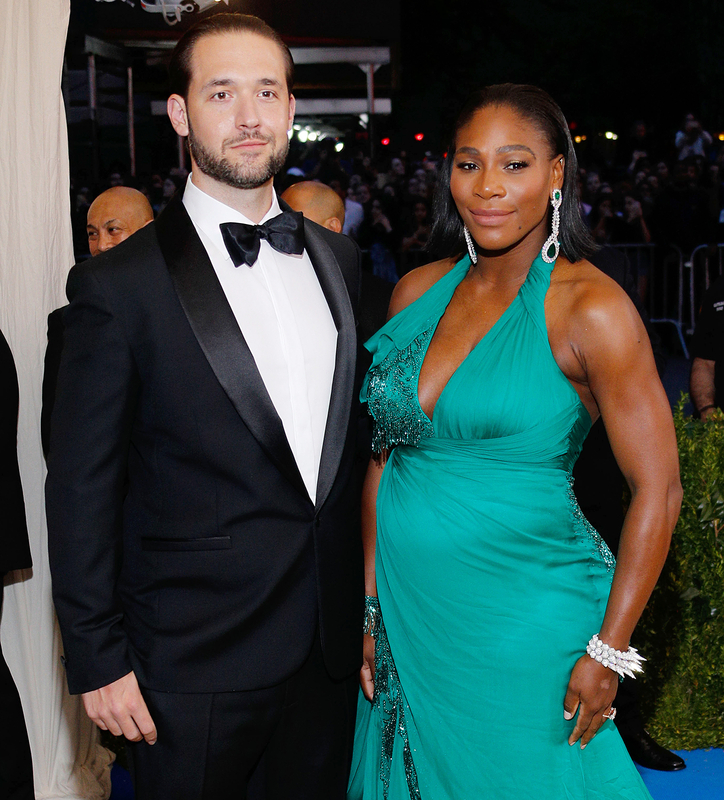 Ohanian, 34, also joined his future wife for her Vanity Fair shoot, cradling her baby bump from behind in one sweet photo. Williams, who found out she was expecting right before the Australian Open in January 2017, was shocked by the baby news after taking six pregnancy tests. They were all positive. Newly pregnant, she competed in — and won! — the Australian Open anyway at seven to eight weeks pregnant once her doctor signed off. While she is clearly embracing her pregnancy curves, Williams revealed she hasn’t done much preparation for the baby’s fall arrival yet. Williams accidentally announced her pregnancy on Snapchat when she posted a swimsuit selfie flaunting her bump at 20 weeks in April 2017. The power couple, who got engaged in December 2016, plan to marry this fall after the birth of their baby.